Having missed out on the chance to play in its first Olympics in over four decades in 2016, and with the Summer Games heading to Japan in 2020, the Japan Basketball Association has made it a priority to do whatever possible in order to restore the strength of the men’s team. Since it began conducting monthly development training camps in Tokyo last December, the nation’s governing body for the sport has been assembling specialists on the team staff in order to amplify the abilities of the players. For instance, the JBA has brought in support coaches for the development training camps. Shoki Omura is one of those coaches. But to define his role more explicitly, he’s a “skill coach,” a rare position in Japanese basketball. Omura said his job is to provide the players with the type of individual workouts they need outside of normal practices. Omura was a player for the Compton Cobras and Southern California Swish of the ABA, so he can exhibit those skills to the players on his own. In the sport’s mother country, the United States, and some other nations around the world, it’s commonplace for players to be tutored by skill coaches. That’s really not the case in Japan. 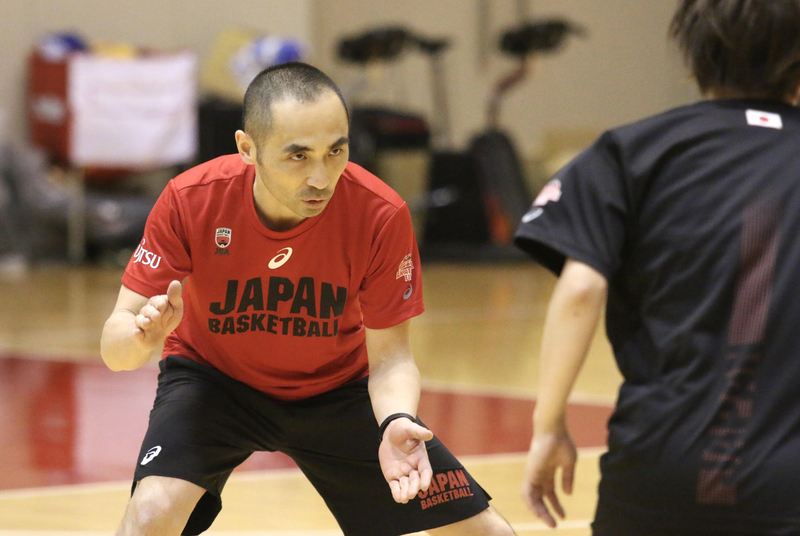 Omura said that since the JBA began hosting the development training camps, more players have visited him to go through extra skill workouts after their team practices. He thinks this is absolutely a positive. Yoshikazu Suzuki is also a support coach on the national team staff. His role is almost completely different to Omura’s. Suzuki does not have the same background as Omura, who played professionally and is on the staff of a B. League club. But Suzuki has managerial skills, from running his own company — which mainly tutors elementary and junior high school kids in basketball techniques through clinics and training camps across the nation — since he was a graduate student at Chiba University, and serves as a bridge between the national team and other Japanese coaches and clubs outside of it. The Japan men’s national team is currently competing at the six-team East Asia Championship in Nagano, from which the top five countries will advance to August’s FIBA Asia Cup in Beirut. After the East Asia Championship, which wraps up on Wednesday, the “Akatsuki Five” will have a new head coach in Argentinean Julio Lamas, who is scheduled to arrive in Japan in a few weeks’ time. But Suzuki said that, despite the change, what the team has done in the last half year has built a valuable base for the development of the national team and Japanese basketball in general, and is going to continue under Lamas. “I think that the players’ motivation has risen and staff people like us have begun to think outside the box, not just trying to do things within our limit,” said Suzuki, who will turn 38 on Thursday. 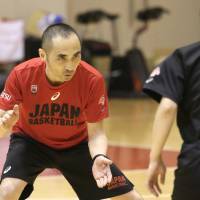 Koichi Sato, who has served as the sports performance director for the JBA since last year, insisted that having specialists is supposed to be the way to develop a sports team. He added that having the experts working in the same spaces could create synergy with them as well, which would also aid their work with the players. He said, for example, that support coaches like Omura had come to him, asking for some advice. “(Omura) asks me like, ‘Koichi, there is this dribbling technique, but to make it work better, what kind of physical exercises should players do?’ ” Sato, 46, said. Sato continued that sometimes players come to him and ask him for tips for how to shoot the ball more easily, though coaches in general might not like it. But he could at least give them some advice from his own area of speciality. Luka Pavicevic, who has served as the technical advisor for the JBA since last November and been the interim head coach for the Japan national team, welcomes all the changes that had not been seen at the JBA before. “I think the JBA expressed a strong will to improve things in the national team of Japan,” the Serbian said.